Here are the 10 primary factors influencing today’s customers, whether they’re buying a product online, searching for a service-based solution, or shopping at a brick-and-mortar store. Control. Today’s customers want control over what they buy and how they’re marketed to. This means they want choices, and that doesn’t just apply to product variety. They also want options for how the engage with you via different marketing channels. If you don’t offer choices, they’ll simply make a choice that’s not in your favor. Value. Value isn’t just about price. It’s about what customers perceive they get in exchange for what they pay. Today’s customers are skeptical. If a price seems too low, they won’t trust the product. If it’s too high, they’ll think they’re being taken advantage of. It’s your job to find that sweet spot. Personal recommendations. We live in a world where a customer can ask a question about a product to hundreds of people and have a dozen recommendations within minutes. Loyalty matters here. When you give your customers a reason to recommend you, you’ll have the best marketing money can buy. Unique experiences. Cookie cutter businesses are out. Customization is in. Providing unique experiences is something you can do through your product offering or by the way you present your product offering. Your customers are asking, “What can you do for me?” They deserve something better than a canned answer. Service. 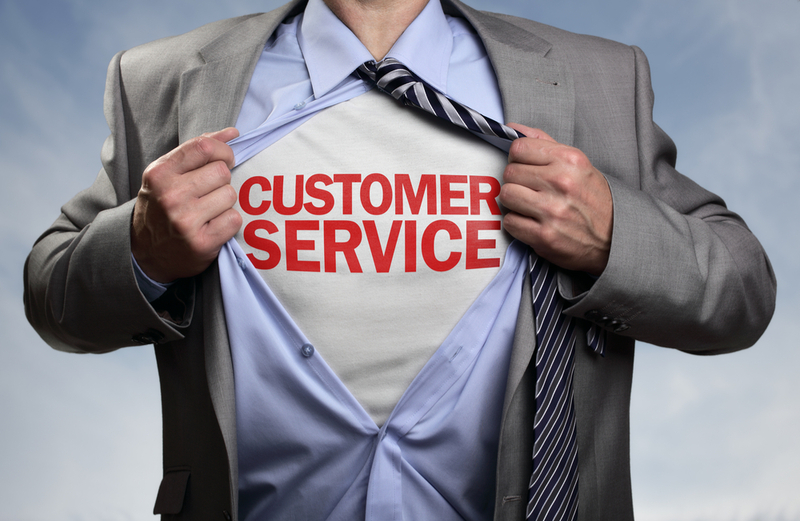 Service is your invisible product. Especially if you’re in an industry where all other factors may be considered equal, service is the one area where you can set your company apart. Exceptional service doesn’t happen all by itself. It has to be taught, reinforced, and nurtured every day. Efficiency. Today’s customers don’t just want things fast. They want things done quickly and done right. Improving your staff’s efficiency is a top-down process. It starts with company-created procedures and filters through management before it gets to employees and then, finally, customers. Social responsibility. More and more, customers want to work with companies who share their values. A growing percentage of today’s customers, more than 50 percent, are willing to pay more for what they perceive to be socially responsible products. Connection. You can connect to your customers by finding out where your story intersects with theirs. Make them the hero of your story, not the other way around. Connecting through stories turns customers into loyal fans. Knowledge. If your customer has a question, they expect an answer. This goes for simple product knowledge questions to ongoing service questions, and – perhaps importantly – solutions to their problems. You must proactively prepare your staff with the knowledge they need to give customers the information they expect. Loyalty. You already know that the success of your business depends on customer loyalty. You should also consider that your customers expect loyalty from you as well. Stay true to your word. Don’t over-promise and under-deliver. Be honest. Understanding what your customers want is the first step in delivering what they need. It won’t be easy. Creating customer loyalty has to be part of your ongoing employee training program and, most importantly, part of your culture.